LARGE 1.4 ACRE LOT WITH PRIVACY! PRIVATE SLEDDING SLOP BEHIND THE HOUSE. 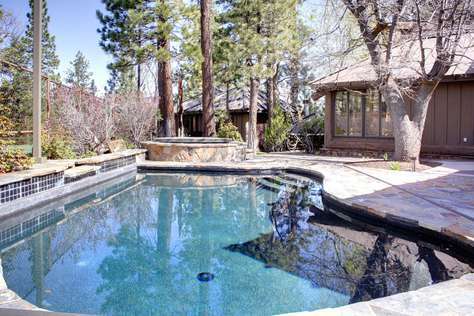 INGROUND HOT TUB AND POOL AND TENNIS COURT. LARGE HOUSE WITH LOTS OF SPACE. TWO HOMES FOR ONE GREAT DEAL!! PERFECT FOR A FAMILY REUNION. BOOK NOW!! "WOW!" 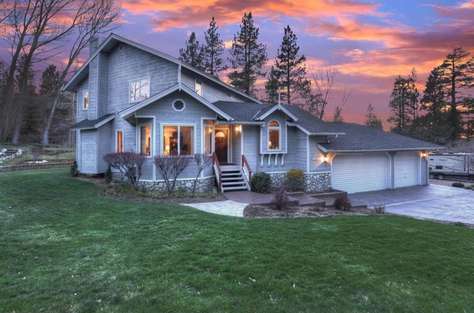 TWO SENSATIONAL LOG-CABIN HOMES ON THE SAME CULDESAC WITH AMAZING VIEWS! TWO HOT TUBS. PERFECT FOR FAMILY REUNIONS OR LARGE GROUPS! SLEEPS 26. ESCAPE TO THE DESERT AND ENJOY THIS TRULY SENSATIONAL DESERT ESTATE WITH FRIENDS AND FAMILY. CLOSE TO GOLF AND AMAZING RESTAURANTS. HIKE IN THE DESERT, PLAY IN THE CUSTOM POOL. RELAX AND SOAK IN THE SUN. 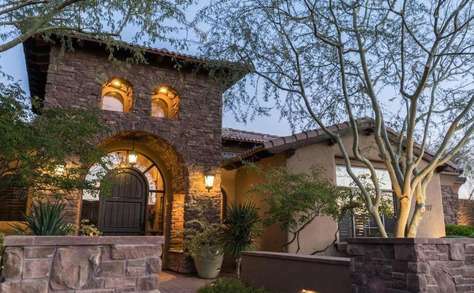 AMAZING CUSTOM HOME IN THE SCOTTSDALE DESERT SITUATED WITHIN A FEW MILES OF SEVERAL OF ARIZONA'S TOP GOLF COURSES. 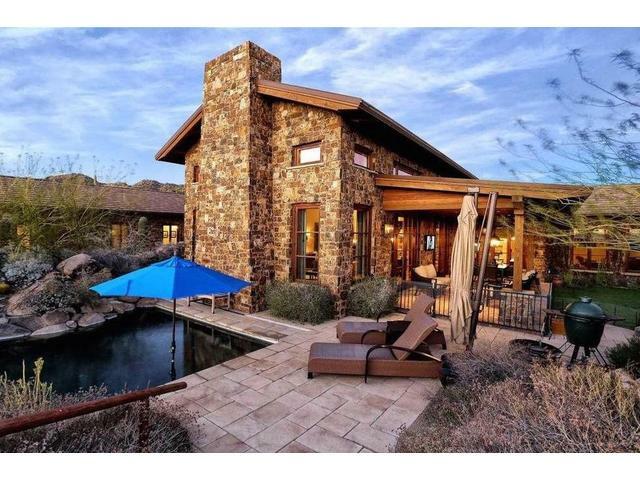 ENJOY THE POOL AND HOT TUB, OR A HIKE THROUGH THE DESERT. CLOSE TO RESTAURANTS AND SHOPPING. 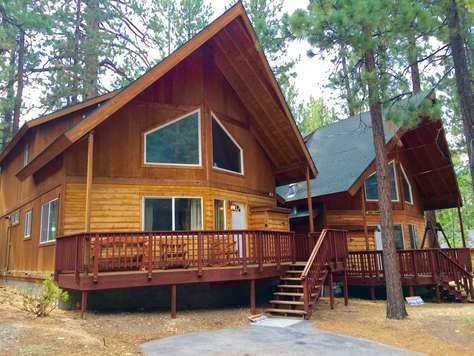 FIRST TIME RENTAL, 5 BEDROOM, CUSTOM CABIN WITH LARGE DECKS, INCREDIBLE VIEWS, SO CLOSE TO EAGLE EXPRESS LIFT. AND HOT TUB! FANTASTIC CABIN FOR ALL FOUR SEASONS. 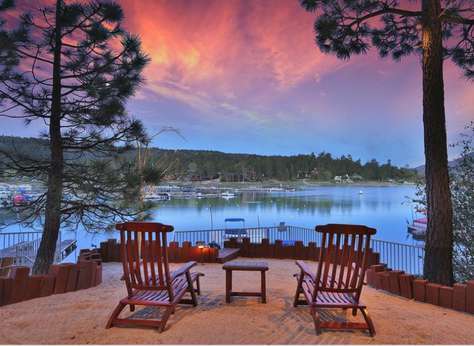 BOULDER BAY LODGE IMMERSES YOU IN THE MOUNTAIN AIR AND LAKE ENVIRONMENT. ONLY 5 MINUTES TO SNOW SUMMIT, 30 STEPS TO THE LAKE, AND ON A QUITE CULDESAC. 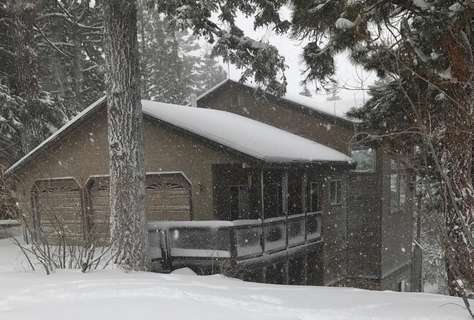 Lakefront Chalet at Boulder Bay is a luxury property that provides 3 bedrooms, 2 bathrooms, 2,200 sq ft of indoor living plus 1500 sq ft lakefront patio. 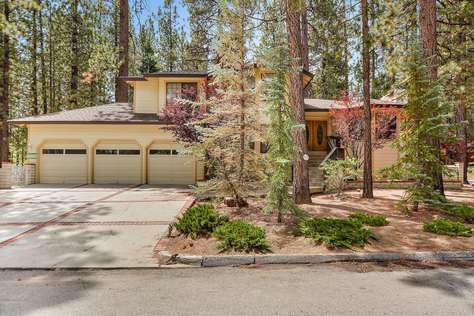 The interior has been completely renovated with new floors, new master bath and granite. PERFECT FOR A LARGE FAMILY OR REUNION. LOCATION!! 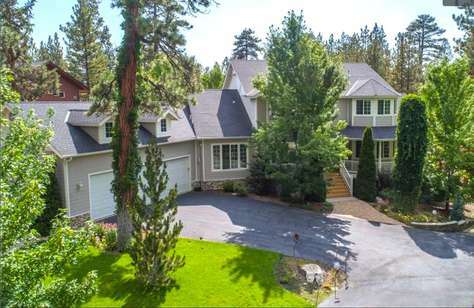 WALK OUT THE FRONT DOOR TO THE SKI SLOPES OF SNOW SUMMIT! ONLY 500FT TO THE FIRST LIFT. THE PINE COVED LOT ADDS FRAGRANCE TO THE FRESH MOUNTAIN AIR. ENJOY THE HOT TUB UNDER THE MOON SHINING THROUGH THE PINE TREES. WALK TO SNOW SUMMIT! 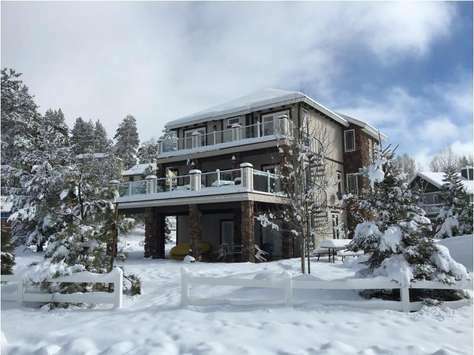 ONLY 5 HOUSES AWAY FROM THE SKI RESORT! ABOUT 600 FT TO THE FIRST LIFT. HOT TUB, FOOSBALL, HDTV. 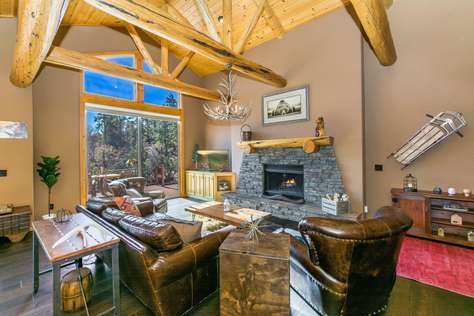 THIS SKI CHALET ON A PINE-TREE COVERED LOT IS THE PERFECT MOUNTAIN GETAWAY FOR CREATING LIFE LONG MEMORIES. 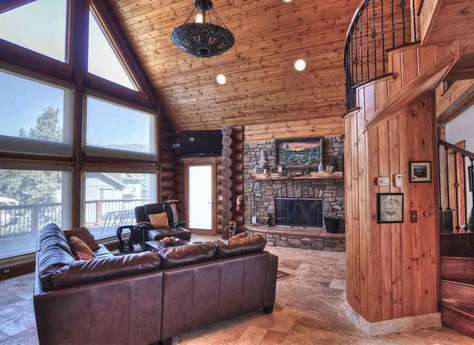 THIS LUXURY CABIN IS NESTLED IN THE QUIET, HIGH-END NEIGHBORHOOD OF CASTLE GLEN ESTATES. 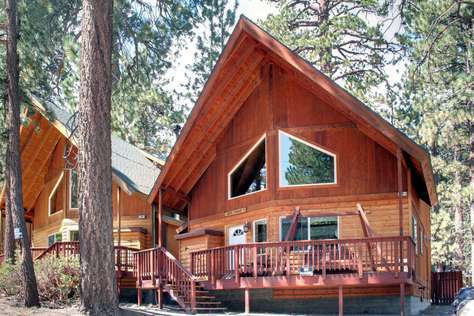 EAGLE POINT RETREAT IS LOCATED IN CENTRAL BIG BEAR ON THE TIP OF EAGLE POINT PENINSULA AND A STONES THROW FROM THE LAKE. RENOVATED AND PROFESSIONALLY DECORATED IN OCT 2017 THIS 5 BDRM CABIN HAS 2 MASTER SUITES, A NEW HOT TUB, AND AMA ZING GAME ROOM! 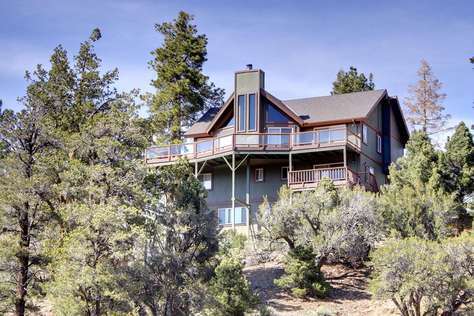 INCREDIBLE VIEWS OF BEAR MOUNTAIN WITH WALKING DISTANCE PROXIMITY. EVERYTHING IS BRAND NEW ON THIS CUSTOM BUILT HOME... NEW BUILDING, NEW FURNITURE, NEW DECOR... NEVER BEFORE LIVED IN! GREAT LOCATION! 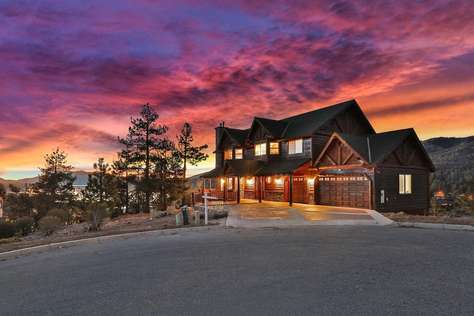 INCREDIBLE VIEWS OF BEAR MOUNTAIN WITH WALKING DISTANCE PROXIMITY. 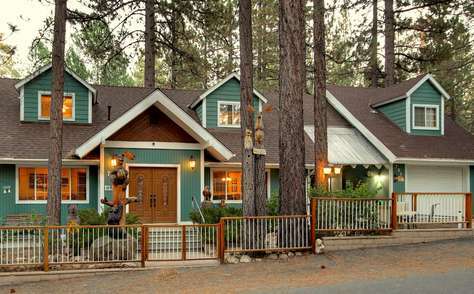 EVERYTHING IS BRAND NEW ON THIS CUSTOM BUILT CABIN... NEW BUILDING, NEW FURNITURE, NEW DECOR... NEVER BEFORE LIVED IN! GREAT LOCATION! 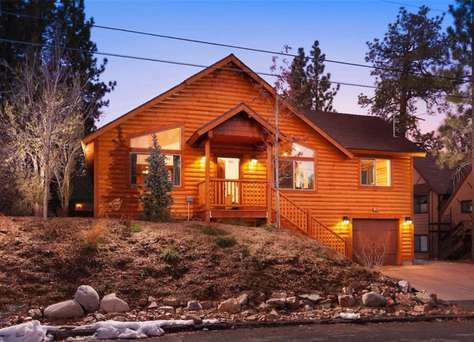 A charming cabin in a quiet neighborhood in the Fox Farm area of Big Bear Lake. 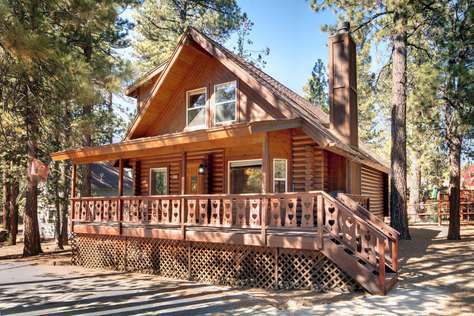 This clean, redone and nicely decorated 3Bd cabin will have you relaxing in no time. Everything you need is here at Cubs' Cabin! 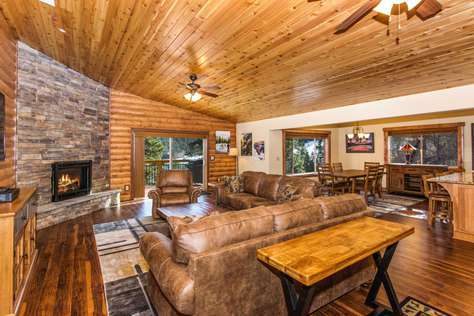 Book this popular cabin soon. A VISIT TO THIS ENCHANTING LAKE-SIDE CABIN WILL HAVE YOU YEARNING FOR ANOTHER VISIT. 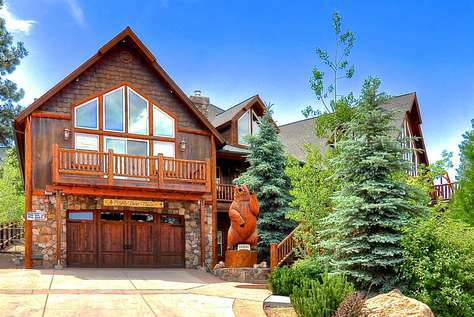 THIS 4 BEDROOM HOME IS THE PERFECT GETAWAY TO RELAX ON THE LAKE IN THE SUMMER OR SKI AT 2 NEARBY SKI RESORTS. PERFECT FOR ONE OR TWO FAMILIES. 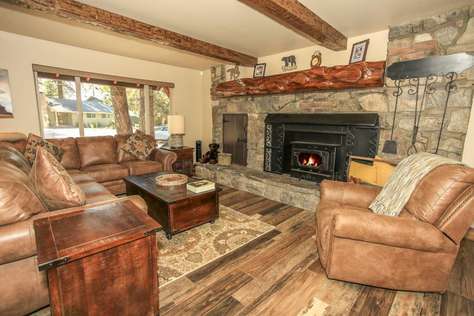 2 FIREPLACES! 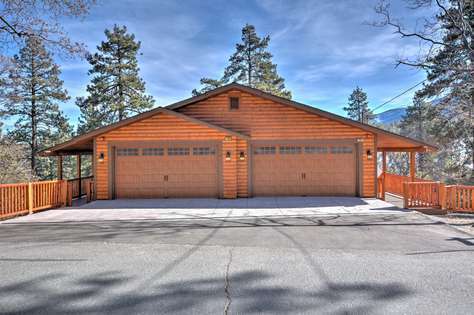 LOCATED ON ONE OF THE MOST POPULAR BAYS IN BIG BEAR LAKE. THIS EXPANSIVE HOME HAS A HUGE BACKYARD, HOT TUB, POOL TABLE, PING PONG, DART BOARD, FIREPLACE AND EXPANSIVE BACK YARD AND LANDSCAPING. 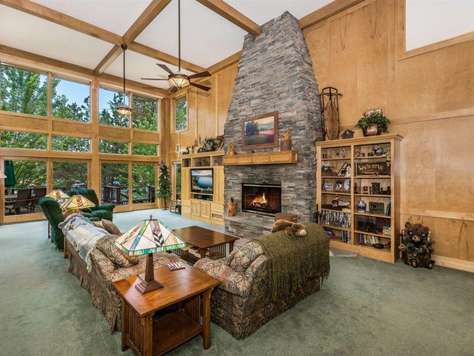 Lakefront Lodge is an incredible estate with an open floor plan and amazing views with floor to ceiling windows. 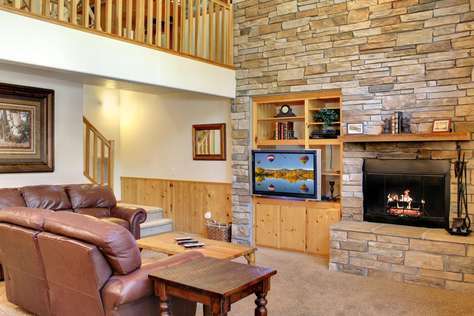 Located on the lake about 2 miles to The Village & 5 miles to ski resorts. 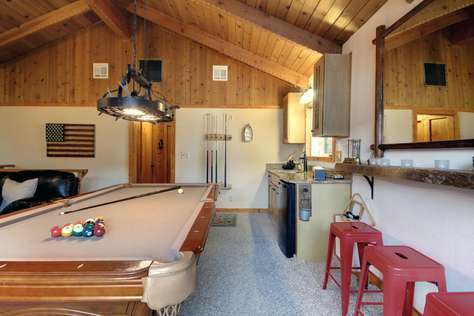 The property has a pool table, spa, and HDTVs. 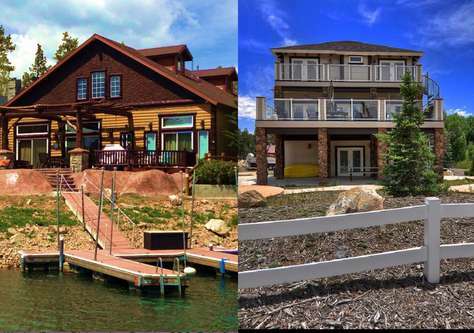 This cabin has a dock in deep water and is one of the few homes unaffected by the lake levels” Water's Edge Estate - Large lakefront with custom boat dock, entertainer's back yard and decks both on the house and on the water. 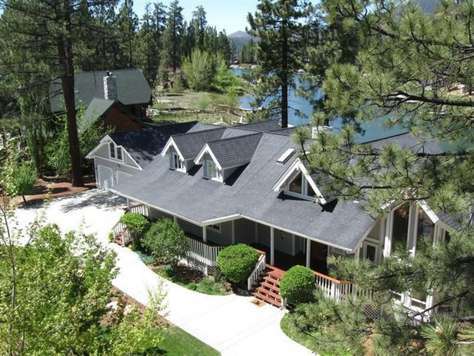 This custom cabin in deep water is one of the few homes unaffected by the lake levels. This amazing home of 3,100 sqft has 4 bedrooms with a huge landscaped back yard and endless views of the lake from multiple decks, tiered patios, and lawns! TWO ADJACENT SKI CHALETS JUST A STROLL AWAY FROM LIFTS. PERFECT FOR A LARGE FAMILY, MULTIPLE FAMILIES, OR A FAMILY REUNION. SURROUNDED BY TALL PINES, FRESH AIR, AND MOUNTAIN SKI SLOPES, SNOW SUMMIT CHALETS ARE THE PERFECT WINTER OR SUMMER GET AWAY. 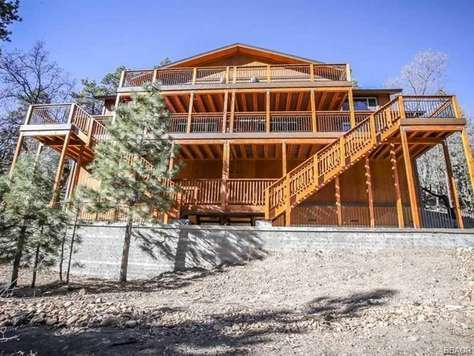 PRIVATE, 4,000 SQ FT, TWO MASTER BEDROOMS, CUSTOM CABIN WITH HUGE DECKS AND 6 BEDROOMS. AMAZING BACKYARD GARDEN AND NEW HOT TUB! COVERED PARKING FOR 4 CARS! TWO IDENTICAL CABINS TO SHARE WITH LARGE GROUP! 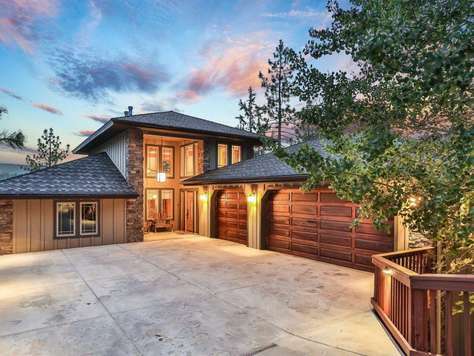 INCREDIBLE VIEWS OF BEAR MOUNTAIN WITH WALKING DISTANCE PROXIMITY. 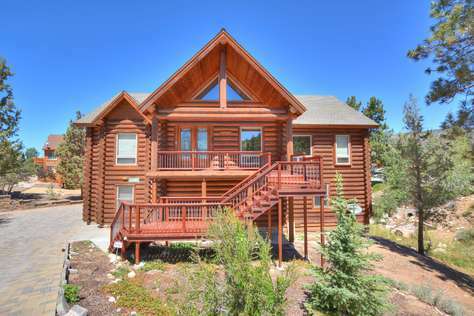 EVERYTHING IS BRAND NEW ON THIS CUSTOM CABIN. NEW BUILDING, NEW FURNITURE, NEW DECOR... NEVER BEFORE LIVED IN! GREAT LOCATION!! 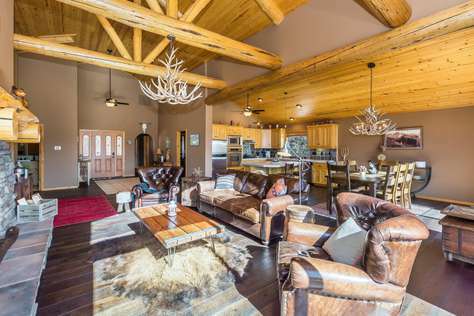 MAGNIFICENT, 5,700 SQ FT, 7 BEDROOM CUSTOM CABIN WITH HUGE DECKS AND INCREDIBLE VIEWS! 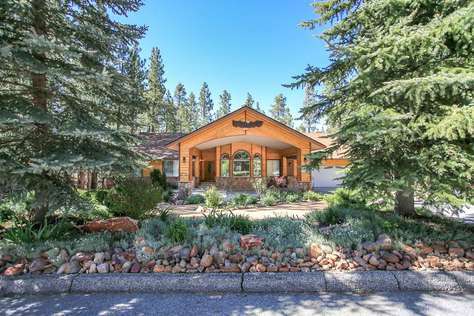 CLOSE TO TOWN, SKI RESORTS AND LAKE! BOOK NOW!! "WOW!" WILL BE YOUR ONLY WORDS AS THE VIEWS QUICKLY CARRY YOUR BREATH AWAY! 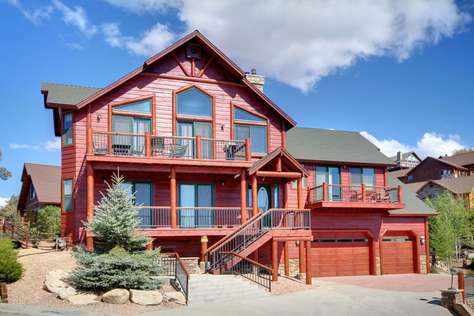 INCREDIBLE VIEWS OF THE ENTIRE LAKE & SKI SLOPES FROM THE LIVING ROOM, MASTER, AND THE OVER SIZED DECKS AND HOTTUB. A LARGE VIEW DECK WITH HOT TUB. CENTRAL A.C. TOO!! 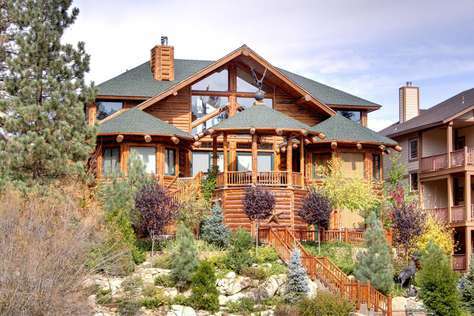 3,700 SQ FT, 5 BEDROOM LOG-CABIN ESTATE IN CASTLE GLENN. 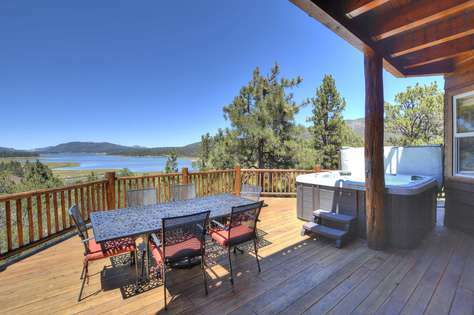 ENDLESS VIEWS OF THE ENTIRE LAKE & MOUNTAINS FROM THE LIVING ROOM, MASTER, AND THE OVER SIZED DECKS. 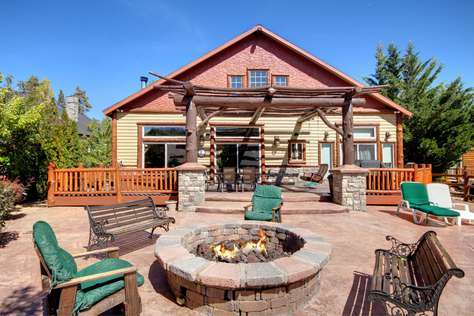 WINDSONG RETREAT IS A CUSTOM LOG CABIN IN CASTLE GLENN ESTATES, HOT TUB INCLUDED. WINDSONG RETREAT WILL NOT DISAPPOINT. 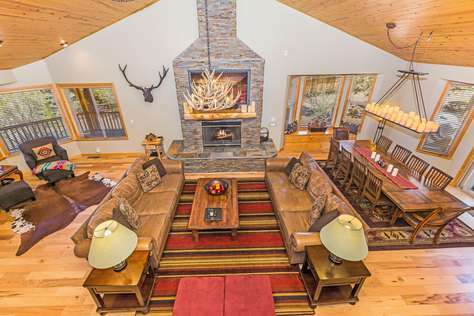 The Hidden Estate offers 7 bedrooms, beds for 16+, games galore, a large out door deck, private sledding hills on over 1.5 acres of private land. 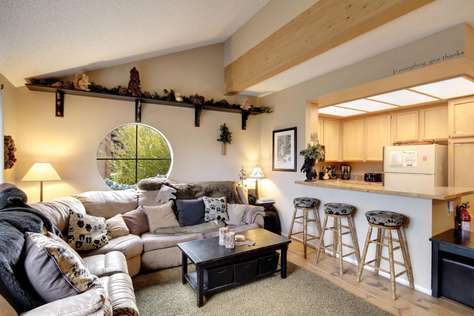 First time rental as of December 2018 this property and furnishings are in pristine condition.